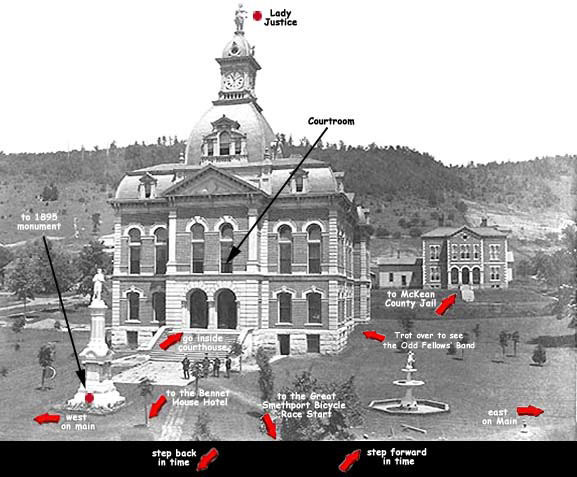 Above is a picture of the 4th and newest courthouse completed in the year 1942. 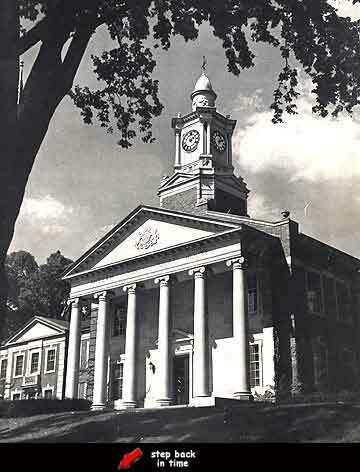 This picture was taken in 1952 for the front cover photo of the official Smethport Centennial Book. 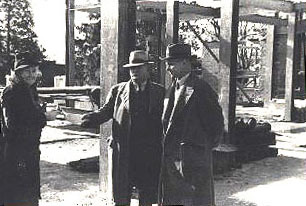 Below to the left is a photograph partially into the construction of the 4th courthouse as the new courthouse's dedication ceremony during 1942. 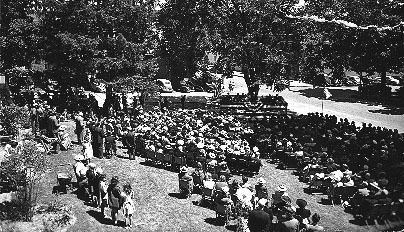 The picture to the right shows the new courthouse's dedication ceremony during 1942. 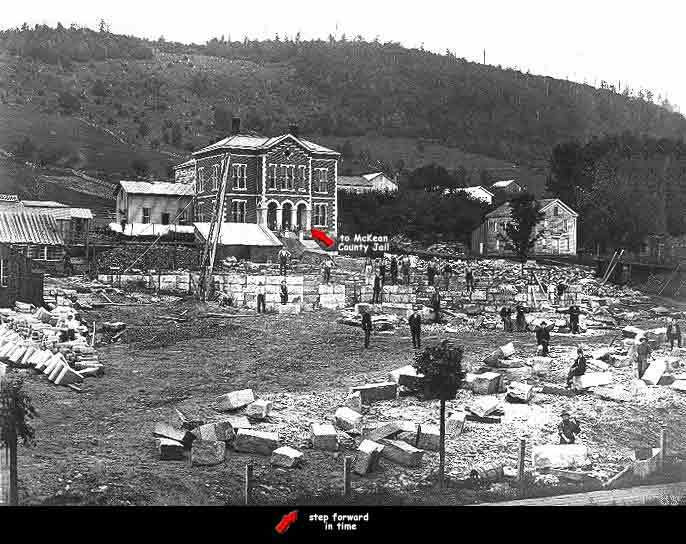 The new, and fourth, courthouse is built of “tapestry” brick manufactured in McKean County. In shades from black to dull red, the brick contrasts with the lighter Indiana limestone trim. and flagpole. Six stone columns support a portico that is topped by a four-faced clock tower. The courthouse is designed with four entrances. 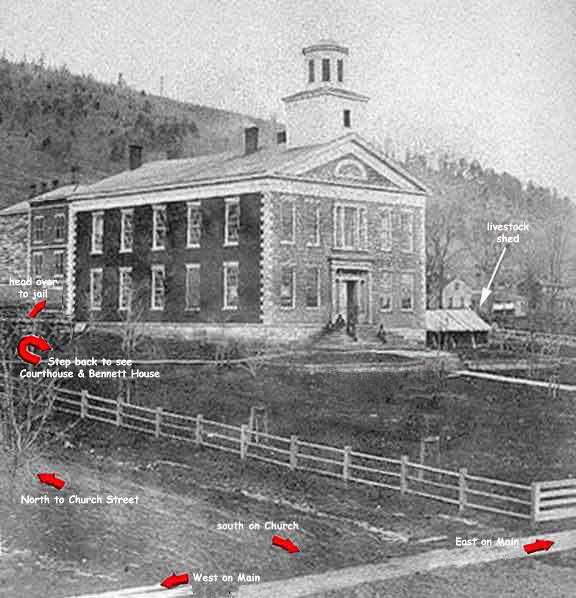 One each on Church and State Streets, and one in the back of the building off King Street designed to give access to the document offices - Recorder of Deeds, Register of Wills and Clerk of Orphans’ Court and Prothonotary and Clerk of Courts. It is the main entrance, however, that is spectacular. 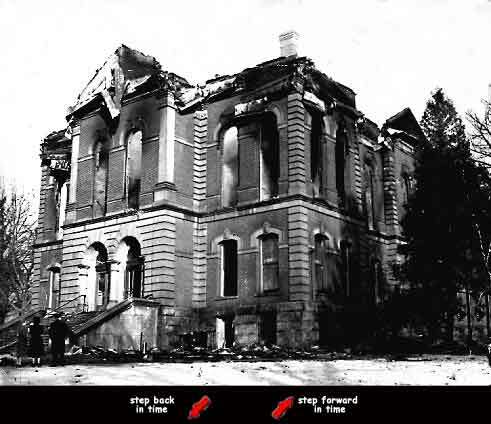 Inside the double bronze doors is a small vestibule with bronze tablets recalling the history of the county’s courthouses, and the marble tablet rescued from the debris of the 1940 fire. Walnut doors lead to the marbled circular main lobby that is illuminated by a huge circular light. The floors in all the public areas of the building are made of patterns of terrazzo, containing highly polished marble in small pieces in a variety of attractive colors. Smethport's popular Judge Glenn Mencer was honored in 1986 by Gannon University as a member of the very short list of Distinguished Pennsylvanians. Over the years others also honored with the award included Thomas J. Ridge, H. John Heinz, William Scranton III, Richard Thornburgh and Andrew Wyeth. 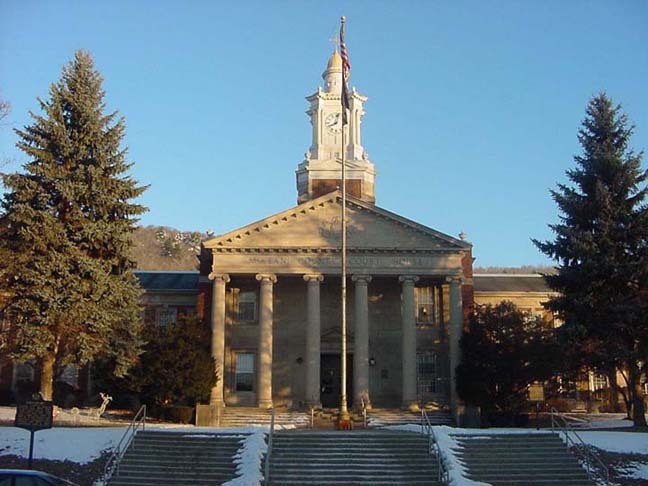 Born May 18, 1925 in Smethport to Ruth L. Rice Mencer and Glenn H. Mencer, Judge Mencer graduated from Smethport High School in 1943. He entered the U.S. Army in 1943 during WWII and served in France, Germany and Austria. He is a 1949 graduate of University of Michigan and received a J.D. Degree in 1952. He developed a successful law practice in Eldred during the 1950s and 1960s and served as McKean County District Attorney from 1956 until 1964. In November 1964, at the age of 38, he was elected President Judge of the 48th Judicial district (McKean County) and served in that position until 1970 when he was appointed by Governor Raymond Shafer as an original member of the Commonwealth Court of Pennsylvania. In 1982 he was appointed by President Ronald Reagan as United States District Judge for the Western District of Pennsylvania and continued as US District Judge until his retirement in 1994. On June 24, 1950 he married Hannah J. Freyer. They have three children: Ruth Ann, Cora Jane and Glenn John. Judge William F. Potter was born Dec 15, 1925, in Bradford, son of Ernest Gurdon and Marion Gallup Potter. He graduated from Smethport High School in 1942. He enlisted in the U.S. Army from 1943-1946 serving in the South Pacific during WWII. He was recalled into the U.S. Air force from 1951-1953 as a lieutenant and financial officer. He attended Staunton Military Academy and graduated in 1950 from Allegheny College where he was center and captain of the basketball team, setting a four-year scoring record. 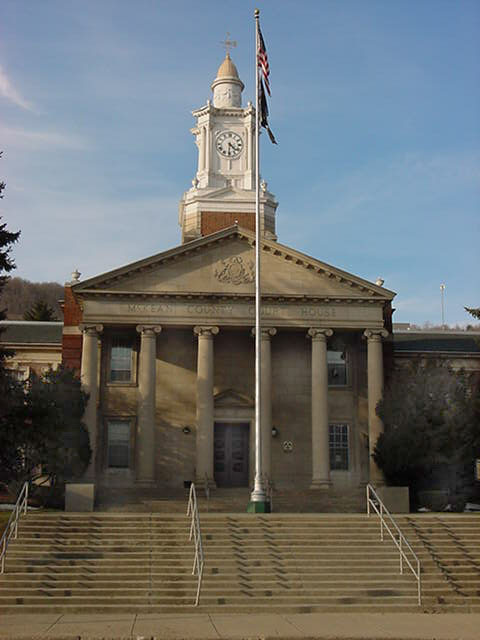 He graduated from Dickinson School of Law at Carlisle, Pennsylvania in 1955 and practiced law in McKean County. He was elected District Attorney of McKean County and appointed by the governor as President Judge of Pennsylvania in July, 1970. He was then elected as President Judge of the 48th Judicial district in 1971. In 1951 he married Anne Digel Potter. They have six children: William Scott, Susan, Carol, Harriet, Amanda, and Martha. 1998. His law practice was interrupted by World War Two, and in 1941 he joined the U.S. Navy, serving in Dakar, West Africa. While there he helped make the arrangements for a crucial conference between Winston Churchill and President Roosevelt. 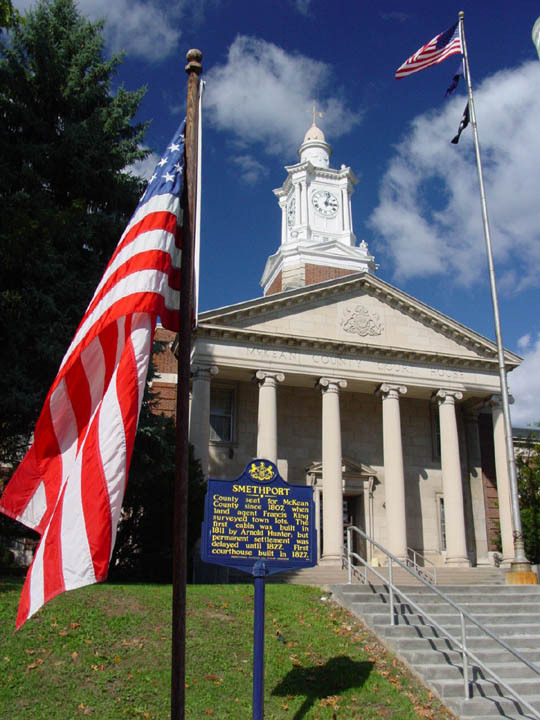 Discharged as a Lieutenant Commander in 1945, he resumed his Smethport legal practice and became chairman of the McKean County Republican Party. In 1953 he was appointed by President Eisenhower to serve on the U.S. District Court for Western Pennsylvania. He presided over most of the condemnation cases, paving the way for the construction of the Kinzua Dam. Judge Willson became a Senior Judge in 1968, but continued to work until he was 89 years old, serving as a Special Master for the U.S.Supreme Court to resolve a boundary dispute between Nebraska and Iowa, hearing maritime cases in Tampa, and handling a number of Indian land cases in South Carolina. Law Office built by Joseph Wilson.